Learn everything I teach graduate counseling students about Play Therapy in Graduate School! Now you can learn the step by step process of a professional play therapy class with Dr. Stangline. 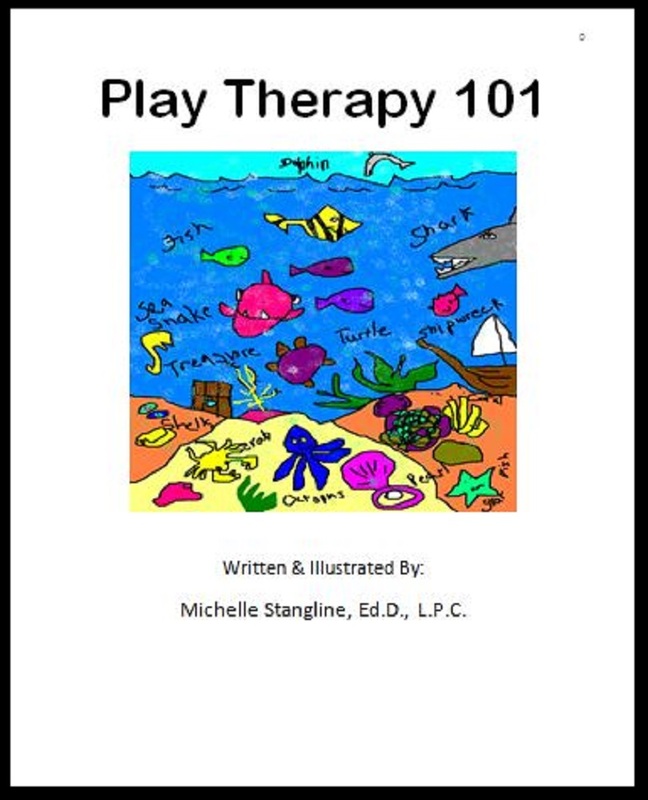 Learn many creative play therapy methods and techniques with this Play Therapy eBook that is the exact replica of a graduate play therapy course Dr. Stangline teaches at a Mercer Universityrsity! This is a self paced eBook that has the lesson plans and directions for you to follow on your own time. Although not an actual "class", you will see what a graduate play therapy class expects from students. You will also learn everything I teach to graduate students who are taking my Play Therapy 101 class at Mercer University in Atlanta, Ga.
You don't have to be a graudate counseling student to learn the step by step basics of play therapy! Move at your own pace and follow along as Dr. Stangline gives you all the information from her play therapy class in this eBook. This play therapy eBook can be modified for school counseling play therapy (a.k.a. School Play Based Counseling). This eBook has over 25 lessons and 180 pages to teach you how to be a creative play therapist. If you actually do each lesson on yourself you will gain a vast amount of play therapy knowledge to use on your clients. Dr. Stangline wrote this eBook to align with her Play Therapy class at a major university in Atlanta. *Please note: This is not an online class. A MUST FOR ALL MENTAL HEALTH PROFESSIONALS AND SCHOOL PROFESSIONALS WHO WORK WITH CHILDREN, ADOLESCENTS, AND TEENS! It is also a good tool for parents who want to begin play therapy at home and are taking their children to a therapist. This is an easy to download pdf file. You can be reading it within minutes. You will need the popular and free Adobe Reader to view this eBook. It's a very simple download, but if you have any trouble at all, pleasecontact me and I will help you. To purchase your eBook Play Therapy click the "Buy Now" button below. 1. Hit the Buy Now Button below. You will come to the "Pay with a Paypal Account" first. If you want to use Paypal proceed with the "Paypal Sign In." This is the eBook that shows you every topic of what I teach graduate counseling students in my play therapy class!